According to a survey conducted by Gartner, 55% to 75% of all ERP implementations do not provide the desired results. But, why do most projects fail? Well, one of the main culprits is the poor quality of training imparted to users of ERP systems. In his article, ERP implementation failure, Steve King – author, COO and CSO, mentions ‘training’ twice on his list of top ten reasons for ERP system failure. Most companies turn to their ERP system implementation partners to train their users. And, most implementation partners lack the ability to develop good training programs. This is because creating user training programs is not their core competency. Furthermore, implementation partners charge huge amounts to develop ERP training materials. And, companies which cannot afford these are told to handle the training themselves. To overcome these problems, you need to hire the services of third party L&D organizations to impart effective training to your people. Let us examine how these training solution providers can help. An experienced ERP training provider can understand the learning requirements of your people and come up with the right solution to meet their needs. For instance, there could be differences in the levels of process knowledge and technical skills of the workforce. It is important to analyze these differences to suggest the best training solution. A good training solutions vendor can develop the ideal solution to train learners with varying levels of knowledge and skills. Consider the following scenario. A blended learning program is created in which e-learning courses are used to bridge the learning gaps and bring all learners “to the same level”. Then, classroom training sessions are held to educate the staffers on the processes, which are re-engineered as part of the ERP implementation. Thereafter, simulation-based e-learning courses are used to train the people on the steps used to perform various tasks such as creation of a purchase order (PO). Corporate training programs need to be based on adult learning principles, to be successful, and ERP training programs are no exception. Well-experienced ERP training providers are adept at helping companies use these principles to train users of ERP systems. Another important aspect of making good training programs is the application of the instructional design principles and processes. Unlike most implementation partners, good third party ERP training solution vendors are well-versed in instructional design, and this goes a long way in the development of highly effective learning programs. According to the Training Journal, ERP user training is often an afterthought and allocated the fewest resources. Many companies “wake up” late, only to find out they are left with very little time and money to train their users. And, most implementation partners are not able to develop training programs in short span and at the desired price. This problem can be overcome very effectively by outsourcing the development of ERP training program to a competent third party vendor. A good L&D firm follows proven practices and quality standards, and this enables it to develop programs of high efficacy at low cost in the stipulated time frame. 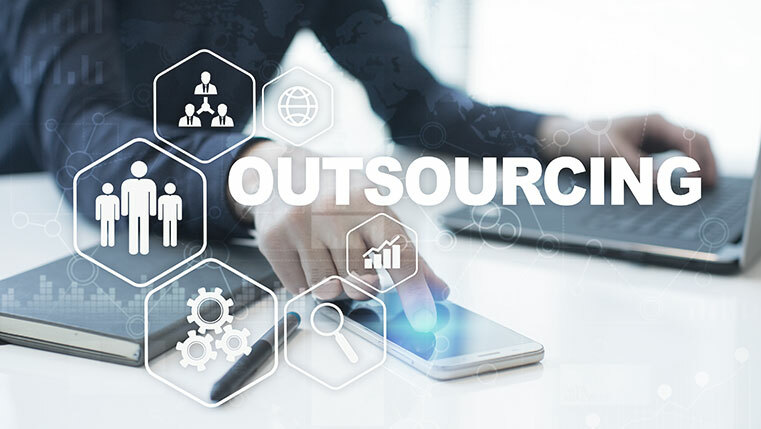 According to a study conducted by McKinsey, you can save up to 35% to 45% in producing a 60-minute online course by outsourcing its development to India. In certain cases, the savings are even higher. Companies need to train their staff members across the world on their ERP systems, and as a result, need good translations of online learning materials. Firms can produce high quality translations of their e-learning collateral by utilizing the services of reputed third party vendors specializing in translations. These firms possess the experience and adhere to set processes, needed to produce ERP training material translations of high quality. Furthermore, the cost of translations can be reduced by at least 40%. By hiring reputed e-learning vendors, companies can impart ERP training of high quality. These firms help build training programs tailored to the needs of your people, by implementing adult learning and instructional design principles. The cost of training development can be reduced considerably and good translations of learning materials can be produced.